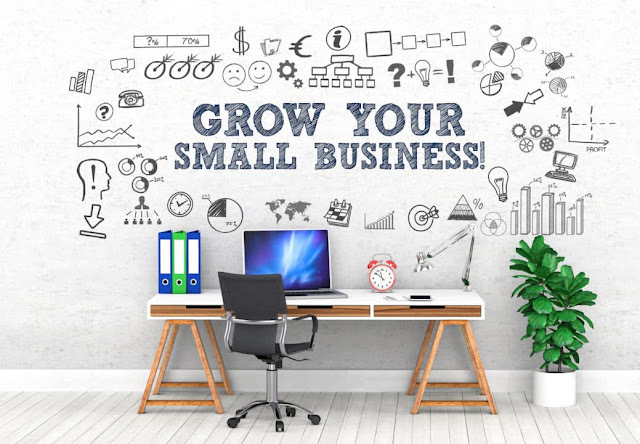 How to use ten essential tips to grow a small business? Ask any new entrepreneur what he or she wants for the future of their business and rarely will you get an answer, “I just want to remain stagnant, or possibly diminish my revenue.” Of course, business owners want to grow and succeed in their small business development. And though there is no secret formula for growing a small business, there are many strategies that can help your company flourish. Here are 10 essential tips you can use for your small business development. No growth can take place unless you have a plan and a way to track your progress toward your goal. That is why a business plan is a must to use as a general guideline. Form an annual budget for expected revenues and expenses. Create a marketing plan. Planning is the number one essential for growing a business. In addition to your plan, you need to create a mission. What is your overarching goal for your business? Use your ultimate goal to form your smaller business strategies. Hand in hand with planning is measuring. Determine your small business development strategy. Along the way, measure how you are doing. Are your revenues in line to meet annual goals? Are you spending too much on supplies and need to reduce your gross margin? Without measurement, you cannot make the small changes necessary for optimal growth. Customers have needs and wants. Be sure your product or service fulfils a need. How will you know how to deliver the best products or services? You need to listen to your customers to get clues and ideas about growing a small business. Do you have a lot of complaints? Then it is time to re-think your product or service. No complaints? Ask your customers to complete a survey. Get the information any way you can so you know what your customers need and want. Growing a business will be faster when your customers are impressed and tell others. What you deliver beyond what you promise goes a long way to taking that proverbial extra mile. Remember that you cannot do it all solo. At some point you will need to delegate important tasks and activities to grow your small business. Choose experienced people for the right job and those who fit your new culture of doing business. Of course, this is also called “branding.” Your identity is how your customers and intended customers view you. Are you professional? Do you deliver as promised or exceed expectations? Are you easy to buy from? Growing a small business requires that your identity be strong and visible. Another successful element of growing a small business is being seen as an expert. Flaunt your advanced degree. Write articles for a national magazine. Sponsor and offer seminars. Write a blog. Anything that helps your credibility as an expert will help your small business development. You, as the small business owner, must always continue to learn. Whether it’s learning about your industry, learning accounting principles, or learning marketing techniques, your small business development will happen if you continue to learn yourself.